Google had been most popular among bloggers, entrepreneurs and even among average netizens due to the facts that its free and easy to use. 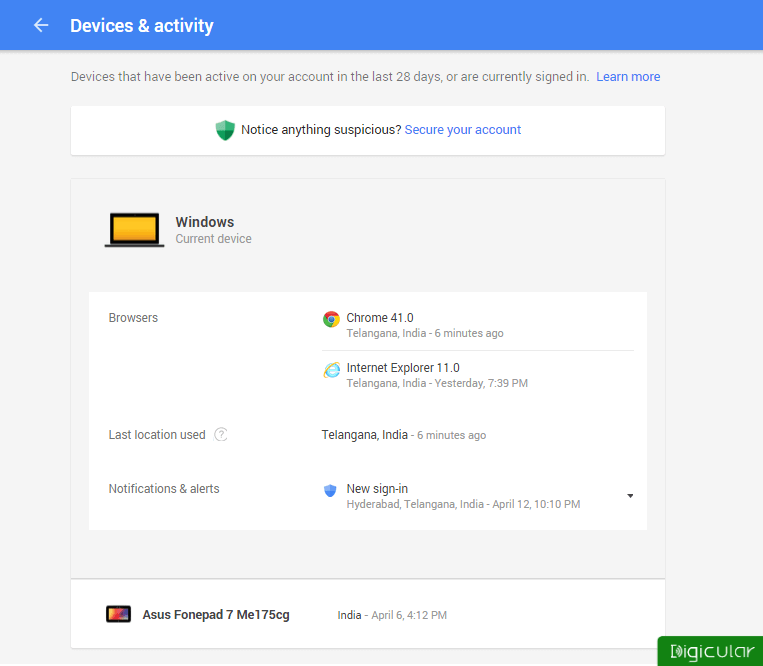 So here its very important to protect your google account with the greatest possible effort. This article gives you the most important and useful tips that will make your google account hacker-proof. And if you are a blogger or a business owner, you might be using a lot of google products like Analytics, Gmail, Drive and so on. So you surely know how necessary it is to secure your google account. 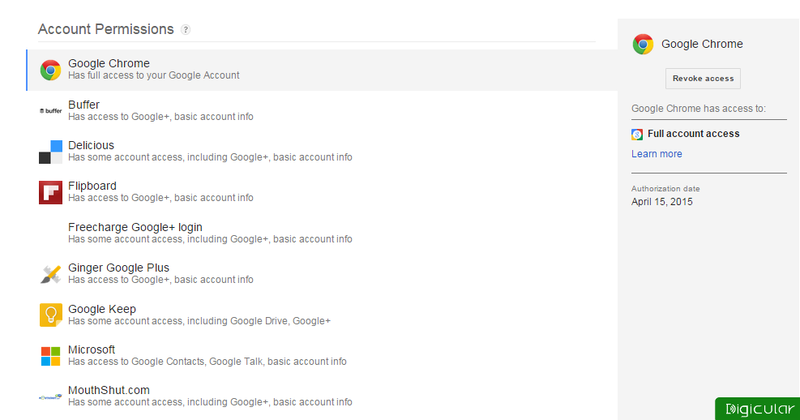 The following are the most useful tips to make your google account secure and hacker proof. The post may be a bit longer, but I can assure you that it is worth your time. It has at least 10 characters with numbers and special symbols (like $ # @ !) included in it. Creating strong passwords is not enough, protecting them is also important. Don’t share your password with anyone, not even with your friends.Don’t save them on your mobile or PC unless you have a password manager. And change your password at least once in 6 months or even more frequently. Install an antivirus and an anti-keylogger on your device to stay safe from malicious programs which may track your passwords secretly when you type them. Update your recovery information regularly. This will help you when you lose access to your account due to a hacker attack or when you forgot your password. Google provides two recovery options – A Recovery through email and through mobile. So update it with the other email account you have and your primary mobile number. To change your recovery email and mobile go to myaccount.google.com and click on Recovery Email/ Recovery Phone under Signing in tab and enter the details. The most valuable security feature from Google is the 2-step verification. It is a secondary security feature that forms an extra layer of security to your Google account. After enabling this feature for every time you sign in from a new device, it asks for a security code which will be sent to your primary mobile number via sms or voice call. Even if you can’t access your mobile number, you can get code through Google authenticator app. To enable 2-step verification, sign-in and navigate to my account. Now click on 2-step verification, enter your mobile number and confirm it. 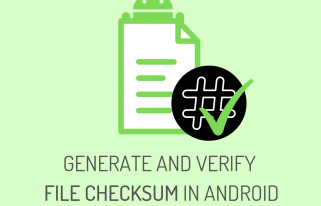 You can read the complete guide on two step verification for more information. 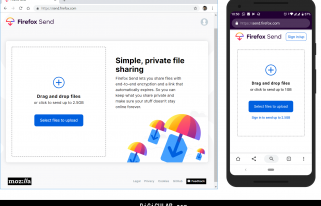 Phishing is technique, where phishers send emails pretending themselves to be from reputed companies to induce you and steal personal and financial information. 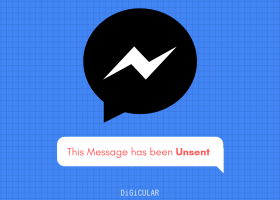 In phishing, a bad guy sends an email saying that they are from a reputed company (say Amazon) and you have won some money or a thing, to receive click on link. when you click you will be redirected to a fake website which look like original website. On this webpage they ask to enter your personal information and credit/ debit card credentials or any other sensitive information, which they will use to steal money or do illegal activities on your name. If you look at the email address of this phishing email carefully it should look like that of original but not original one. For example if they say they are from amazon, the email look something like sales@amazzon.com (or) care@amazoon.com. Most commonly phishing emails allure you by saying that you have won money or free gifts. Or sometimes they say that they are from a bank, where you hold an account. And they need your account information to resolve a problem with your account. Don’t click any links in an email. To visit a any website type its address yourself. Don’t get allured my emails fooling you about winning money or free gifts. Don’t respond to emails asking for your financial information or any other sensitive information. A company/ organization never ask you for such a confidential information through email. Don’t submit your personal or financial information in web forms embedded inside an email. Never send your financial or sensitive information (as text or even as attachments)through emails. Only do it through Phone calls or Offline. When you find any email to be a phishing email, immediately report it to Google. Just open that email click on down arrow and select Report Phishing. When you sign in, say ‘no’ to browser’s request for saving passwords. Sign-out of your Google account after you completed your work. Clear cookies (For chrome – Settings&gt;Advanced settings&gt;Content settings&gt;Cookies and site data and click on remove all ) and other browser data. Set a strong password to your router and enable WPA2 encryption in router settings. And don’t tell your Wi-Fi password to strangers. 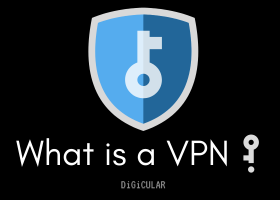 If you use public Wi-Fi network, use a VPN software. 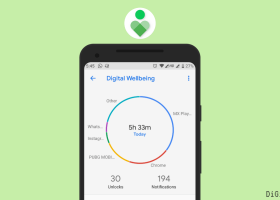 Knowingly or Unknowingly you might have granted access to your Google account, when you sign-up for a service or an android app or any web app. But your account is still accessible by those apps, even if you are not using them. This gives hackers an easy way to get into your account. So just go to permissions in account settings, here you can see the list of websites, web apps, softwares and devices that can access you account. Just take a look at the list . If you find any of the listed apps to be insecure, just click on them and click on Revoke Access. And it is also best to Revoke access to applications and devices, that you no longer been using. And never signup for a website that is insecure. Check the permissions which you are giving a website when you sign up using google. This is the most convenient way to see activity of your whole account . Just login and Go to recent account activity, here you can see the list of devices active on your account and on which your account is being used currently. To see the activity on a particular device (say desktop), click on that device. 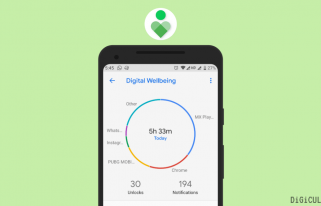 It will show the activity on that device with Browser information,location, date, time.If you feel something wrong going on, you can take a next step to protect your account. Alternatively you can go to your account dashboard and see the activity on each of your Google products, listed. In Gmail on the Bottom-right corner, there will be a link to view your account’s activity log. With this you can view the details like Device, browser, date, time, location and IP address with which your account accessed. Go to Accounts and Import Check mail from other accounts (using POP3): This feature is useful to fetch emails from other accounts, for when you have multiple accounts. So delete any address you didn’t setup or recognize.Grant access to your account: This setting allows others to read and send emails on your behalf. Here see if any email addresses listed and delete any addresses you don’t recognize. Go to Filters, Delete any filter you haven’t setup. Go to Forwarding and POP/IMAPForwarding: Disable this option, if you are not using it. POP/IMAP: Generally you should enable these options, only if you are using any email clients like Outlook, Apple mail etc. So if you are not using any email clients, disable these settings. Notifications &amp; Alert settings – Enable notification for both email and mobile. The Other thing is, you must keep you softwares up-to-date. Most Importantly update your Operating system, Browser, Antivirus, Browser plugins/extensions. You should install an antivirus and keep it updated. Enable firewall, this will block any malware attack from internet. And for extra security install a anti-keylogger software, this will protect from keyloggers that record your user names, passwords and other information, which you type through your keyboard. 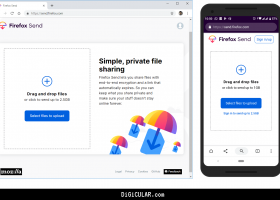 You should always keep you browser and browser extensions updated. Remove any unnecessary extensions and install security extensions like Avast online security, Web of Trust . 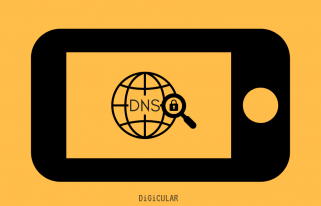 These security extensions will protect you from harmful websites, that may inject malicious programs or steal you Google account’s information in background without you knowledge. 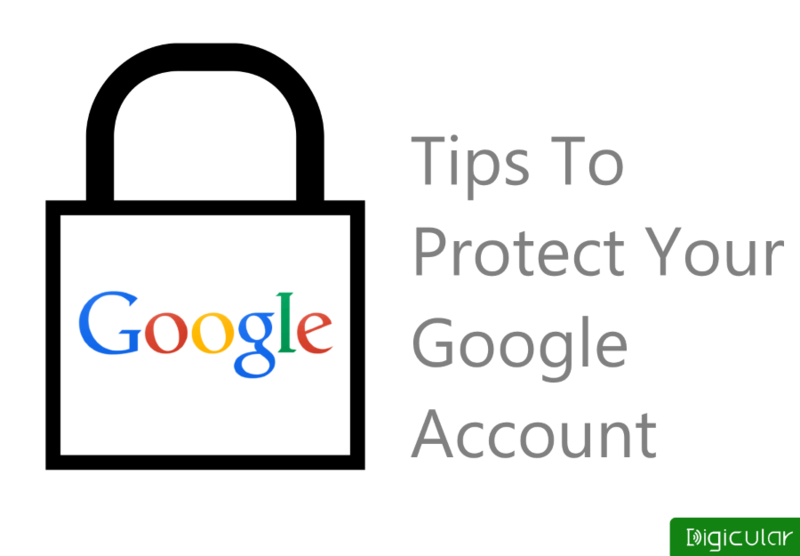 The above tips can give your google account maximum security. But as of human nature, we forget most of the things. So if I forgot to include any tips in the above list, please feel free to inform me through comments below. And if you like this post, share it with your friends on social media. 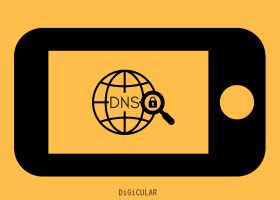 Browsers should always be disabled from saving passwords and always clearing the histroy after accessing the account from an unsecured device should be always kept in mind. Revoking access from insecured applications and those applications we no longer use can also help in keeping the account secured. Hey rohan thanks for commenting. As a blogspot user I understand, our google account is everything for us. So we cannot risk our google account. So this is why I have written this article so it may help other bloggers and even an average internet user. I am feeling glad that you this information helpful.